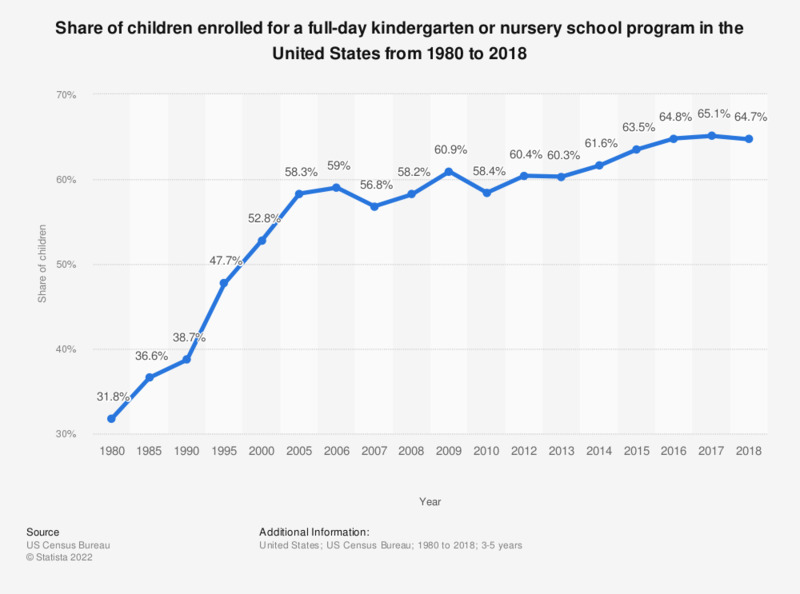 This graph shows the share of children enrolled in pre-primary school institutions (kindergarten or nursery) for a full-day (as oppose to a part-day) in the United States from 1980 to 2017. In 2017, about 65.1 percent of all children enrolled in pre-primary school institutions attended full-day programs. Includes public and non-public nursery school and kindergarten programs. Excludes 5-year-olds enrolled in elementary school.